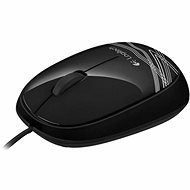 Lenovo ThinkPad Precision USB Mouse is an optical mouse made by a proven manufacturer, with a USB connector. 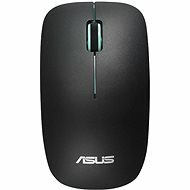 The elegant design and classic black colour make this mouse a unique addition to your PC or laptop. Its great workmanship and quality materials allow you to increase your work performance and enjoy quality while on the road. The new optical sensor guarantees complete accuracy, which can be set to 800 - 1600dpi. Also, the wheel will come in handy whether you are working, going through long documents, or having fun browsing the web. It also has a sideways tilt. The mouse is very carefully-designed to fit well into the palm of both right-handed, or left-handed users. For shipping to other EU countries visit this page Lenovo ThinkPad Precision USB Mouse Midnight Black. Für Versand nach Deutschland, besuchen Sie bitte Lenovo ThinkPad Precision USB-Maus Midnight Black. Chcete doručit zboží do Česka? 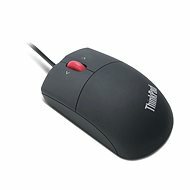 Prohlédněte si Lenovo ThinkPad Precision USB Mouse Midnight Black. Chcete doručiť tovar na Slovensko? Prezrite si Lenovo ThinkPad Precision USB Mouse Midnight Black. Für Versand nach Österreich, besuchen Sie bitte Lenovo ThinkPad Precision USB-Maus Midnight Black. Magyarországra történő kiszállításért tekintse meg ezt a termékoldalt: Lenovo ThinkPad Precision USB éjfekete színben.